Two women were rescued from a capsized sail boat Monday near Richmond, according to the U.S. Coast Guard. 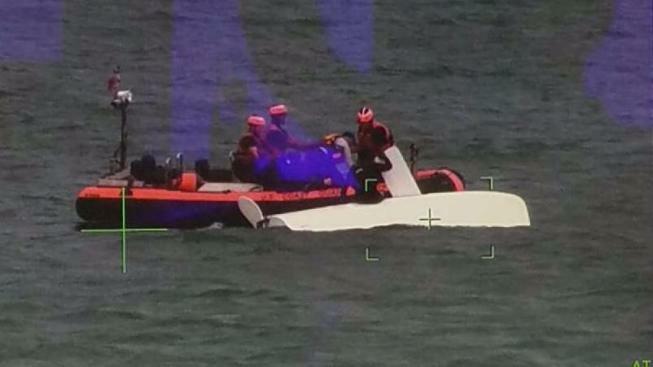 About 2:10 p.m., Coast Guard officials received a report from a boater who saw the boat sinking. The crew of Coast Guard Cutter Tern, an 87-foot Coastal Patrol Boat out of Yerba Buena Island, was underway nearby and launched their small boat to investigate, officials said. The crew retrieved the women, who were both reportedly wearing life jackets, and took them to a nearby marina at 3:12 p.m., with no reported injuries. The good Samaritan who called in the emergency towed the capsized boat to shore.